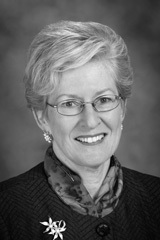 American Skin Association's 2007 Lifetime Achievement Award honors Dr. Margaret L. Kripke for her research focusing on the immunology of cancer, particularly her seminal studies implicating UV-induced immuno-suppression in development of skin cancer. Dr. Kripke is Professor of Immunology and Vivian L. Smith Chair Emerita, and since 2001 Executive Vice President and Chief Academic Officer, at The University of Texas M. D. Anderson Cancer Center, one of the nation's leading cancer research and treatment facilities. A native of California, Dr. Kripke received her bachelor, master's and doctorate degrees from the University of California at Berkeley. After postdoctoral work at Ohio State University, her first faculty appointment was at the University of Utah, followed by many years at the National Cancer Institute's Cancer Research Facility in Frederick, Maryland. A member of many professional organizations and a frequent guest lecturer, Dr. Kripke has served on countless boards, advisory committees and peer review panels for research funding. She has authored more than 250 scientific publications and has been the recipient of numerous awards. In 2006 she was reappointed by President Bush as a member of the three-person President's Cancer Panel.